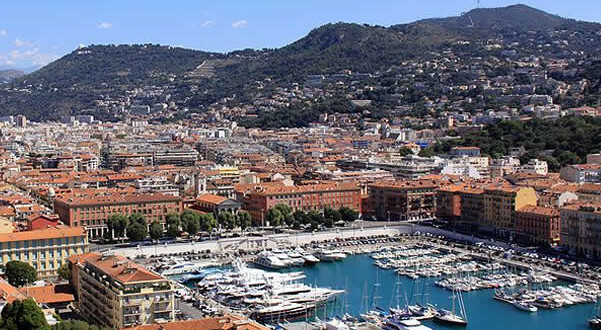 Nice, the main city of the French Riviera – known for its mild climate even in winter – overlooking the Bay of Angels (Baie des Anges). Popular attractions include the famous beachfront promenade the “Promenade des Anglais” and the district of the Old Nice (Vieux-Nice). During Christmas, the city is a triumph of lights that contribute to the magical Christmas and festive atmosphere that permeates the city. 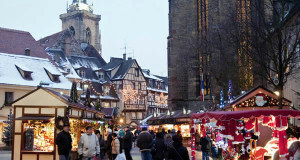 The typical Christmas village consists of about 60 chalets exhibiting handicrafts and Christmas products. During the weekends the atmosphere is alive with free activities for children and adults. Children can enjoy a fun area dedicated to them whose attractions vary each year but usually include the inflatable, a Ferris wheel and a large skating rink. 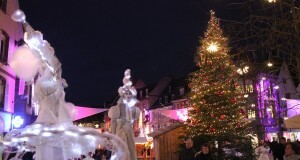 Christmas Market (Village de Noël Nice) in Place Massena – Jardin Albert 1er. 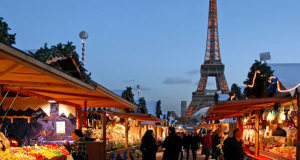 The Nice Christmas Market is traditionally held in Place Massena, where it is rebuilt a mountain village with chalets showing local handcrafted goods. Christmas in Nice also houses an ice rink and numerous play games for children such as a Ferris wheel and carousels. During Christmas the whole city is lit, and the famous Promenade des Anglais provides a spectacular show of lights and decorations, but also other roads and streets of Nice are illuminated and decorated by kilometers of garlands and lights. The market is set up like a Christmas village, which recreates a typical winter landscape in the center of Nice, with even an enchanted forest made up of 600 fir trees. During the Christmas in Nice sometimes are also organized exhibitions of ice sculptures, parades and concerts. Opening Hours: daily from 11.00 to 20.00.